Properties in Bear Mountain Butterfly Sanctuary average 4.7 out of 5 stars. The Outdoors Are Calling so Stay At The Acorn Cottage! Property 3: The Outdoors Are Calling so Stay At The Acorn Cottage! Property 8: Pocono Lake Cabin w/Heated Pool Access! Cozy Cottage Life. Private Lot. Free Wifi. Walk to pool, beach, and playground. Property 10: Cozy Cottage Life. Private Lot. Free Wifi. Walk to pool, beach, and playground. Property 12: Albrightsville Cabin w/Hot Tub - 10 Min to Slopes! Book Your Summer Escape without a Cleaning Fee! Property 17: Book Your Summer Escape without a Cleaning Fee! Property 18: Bucks Cozy Cabin Adventure! Get cozy at Big Al's Poconos Creek House - Wireless DSL & Trout!! Property 20: Get cozy at Big Al's Poconos Creek House - Wireless DSL & Trout!! GREAT LOCATION ,FREE THURSDAY NIGHT FREE WIFI SERVING OUR CUSTOMERS FOR 28 YRS! Property 22: GREAT LOCATION ,FREE THURSDAY NIGHT FREE WIFI SERVING OUR CUSTOMERS FOR 28 YRS! Secluded Mtn Cabin w/Deck - Walk to Lake Harmony! Property 25: Secluded Mtn Cabin w/Deck - Walk to Lake Harmony! Cabin w/ Fire Pit & Decks - Walk to Lake Harmony! Property 29: Cabin w/ Fire Pit & Decks - Walk to Lake Harmony! Property 30: Looking For Some Beautiful Views?? Property 31: Rustic Cabin Lake Home~Ski slopes nearby ~ WIFI~ pets welcome~ GREAT REVIEWS! 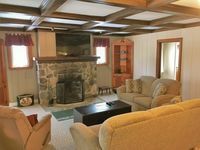 Cozy Pocono Lake Cabin in Gated Community w/Pools! Property 32: Cozy Pocono Lake Cabin in Gated Community w/Pools! LAKEFRONT Cabin on a 22+ acres wooded lot. Close to BLUE MOUNTAIN Ski Resort! Property 37: LAKEFRONT Cabin on a 22+ acres wooded lot. Close to BLUE MOUNTAIN Ski Resort! Beautiful Cabin in The Poconos on The Lehigh River! Property 38: Beautiful Cabin in The Poconos on The Lehigh River! Make our beautiful lakefront property your magical home away from home! Property 39: Make our beautiful lakefront property your magical home away from home! Cozy Pocono Getaway Close to Jack Frost and Big Boulder! 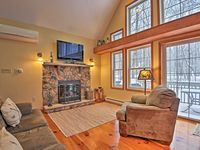 Property 43: Cozy Pocono Getaway Close to Jack Frost and Big Boulder! Property 45: Charming Arrowhead Lake Cottage - Walk to Beach! 4 bedroom, 2 bath rustic cabin right in the HEART of Split Rock. Property 47: 4 bedroom, 2 bath rustic cabin right in the HEART of Split Rock. We loved this property. Clean and perfect! We absolutely loved this property and had a wonderful stay. The house is very clean and beautifully decorated. It is conveniently located to so many family activities and the hot tub is a great way to relax at the end of your day! We will definately stay here again! Beautiful get away for any couple! The house was wonderful and Grant is awesome to work with!